The Chevy Volt has had its problems, sure, but GM is apparently so confident that the upcoming extended-range electric vehicle can stand the test of time that it’s slapping an 8 year, 100,000-mile warranty on the vehicle’s pricey lithium-ion battery. The standard guarantee for gasoline-powered vehicles is somewhere in the range of 5 years and 100,000 miles. The move isn’t exactly unprecedented. While GM calls the warranty “the automotive industry’s longest, most comprehensive battery warranty for an electric vehicle,” there aren’t enough EVs available yet to make that an impressive statement. Under new EPA rules, automakers are required to have an 8-year 80,000-mile defect warranty for hybrid vehicles. 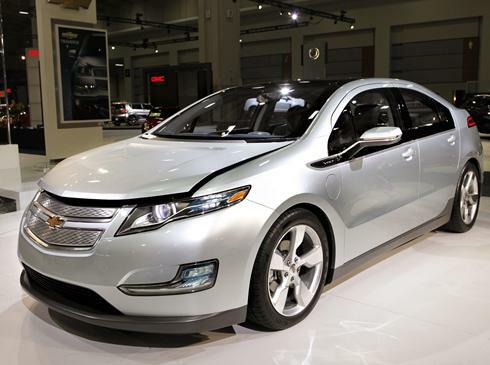 extend beyond 8 years,” explained GM global electric vehicle executive Doug Parks in a webchat at PlugInCars. In 2010, the company expects to upgrade its warranty to 10 years and 150,000 miles–above and beyond what is offered for traditional vehicles. No word yet on whether competitors like the Nissan Leaf can match the Volt’s warranty, but they’ll probably have to if they want to stay competitive, at least in the short term. The electric vehicle industry as a whole has yet to prove that its products are built to last. And with new developments coming down the pipeline almost daily, that’s no small challenge.